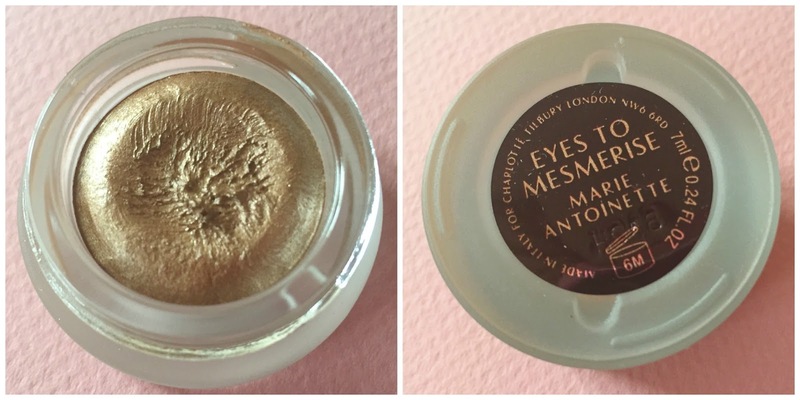 Charlotte Tilbury - Eyes to Mesmerise - Veruschka, Marie Antoinette, Mona Lisa - Review and Swatches of all 6 shades! Myself and Charlotte have a big of a love/meh relationship. Not love/hate, because I most definitely have never hated any Charlotte Tilbury product that I have ever tried, but a love/meh relationship, because I either love some of her products, or feel really dispassionate about others. 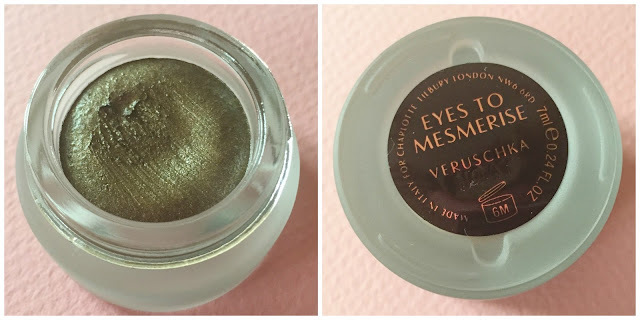 In terms of eyeshadows, I feel like they are overhyped to be frank. I have two of her palettes- The Dolce Vita and Golden Goddess, and whilst there is no doubting that these are nice, they are just not that amazing in my eyes, they are pretty average and extortionately priced for what they are. One of the most disappointing Charlotte Tilbury products that I have tried was the Colour Chameleon Eyeshadow Pencil in Champagne Diamonds- I never ever reach for this, I'm not struck on the formula at all. However, about 2 months ago now, I found myself perusing the Charlotte Tilbury counter in Brown Thomas, and I ended up picking up not one, not two, but three of the new Charlotte Tilbury Eyes to Mesmerise Cream Eyeshadows in the shades Veruschka, Marie Antoinette and Mona Lisa. These little pots retail for €26 each- which is almost bargainous in Tilburyland- and I had no hesitation in handing over the cash for the three shades I picked out after swatching them (swatches of all 6 shades below). There are 6 shades altogether- 5 warm toned neutrals in various shades of golds and browns, and a bright teal (which is kinda like the black sheep of the Eyes to Mesmerise family except it's actually a teal cream eyeshadow instead of a neutral- you get my gist). ALL of the colours are absolutely stunning when swatched, and I'm surprised I restrained myself to the three I did pick out. Each shadow has a moussey formula- a little thicker than the Max Factor Excess Shimmer cream eyeshadows- but definitely a lot more creamy and whipped than the MAC paint pots or Chanel Illusion d'Ombres. Mona Lisa - deep chocolately reddish brown with plum undertones. I found that all the colours I have applied and performed in the same way so my comments on them are all universal. Holy smokes, these eyeshadows are pig-MENTed! They are easy to apply as long as you (a) apply a thin coat to the lid (b) wait for it to set before applying next coat if you are seeking to build up the colour. If you try building these up too quick without giving them a chance to set and dry, you will get creasing, and no amount of eyeshadow primer will help you redeem yourself. 2 coats of this stuff is plenty for high impact, almost foil effect colour. It takes a minute or two for the formula to set on the lid- probably the longest time out of any of the cream eyeshadows I own from other brands, but I strongly believe that that time investment is worth it. If you apply these in a hurry and don't give it the chance to set properly, your lids will be more creased than a concertina. I have used these with and without eyeshadow primer and it had no impact on the colour or longevity. You could of course apply a powder eyeshadow over the top to stop the creasing but I think that it would be a pity to make the potential jewel like finish of these eyeshadows with a mere powder. I use a fluffy brush like the MAC 217 to sweep this over the lid as a wash of colour- you could apply with your fingers if you preferred but I try to avoid using my hands to apply makeup and also you may end up with too much product on your hands. These are perfect for giving a wash of colour to the lids and leave a lovely metallic finish with a gorgeous sheen. These colours are 5 dimensional- between the colour base, the depth of colour, any undertones, any sheen and any tiny glitter of shimmer particles- they all combine to make a unique eyeshadow experience. As you can see from the swatches above, these are an absolutely stunning line of colours and the finish is beautiful. As I said, I cannot quite believe I haven't been in to pick up the other shades yet! These have been a huge hit in my eyes- and probably one of the standout Charlotte Tilbury products that I have tried. Have you tried these eyeshadows yet? Which of the colours appeals to you? 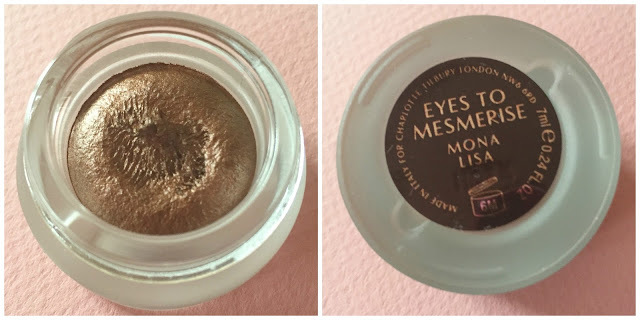 I love Marie Antoinette, it's such an unusual shade for a cream shadow, I do like Mona Lisa a lot too but I rarely reach for it, I have too many similar shades. Really liking the look of Verushka here! I haven't had creasing issues when I apply with a brush but the first time I tried them I went in with my finger (careful) and it just slid everywhere, brushes all the way since! Absolutely beautiful, I can't pick a favourite I want them all!